You can now add “horseface” to the list of insults President Donald Trump has hurled at women publicly, which also includes “fat pigs,” “slobs,” and “dogs,” to name a few. Trump earned some criticism on Tuesday for calling the adult-film actress Stormy Daniels “Horseface,” but his history of making brusque remarks about women’s appearances goes back decades to his time as owner of the Miss Universe beauty pageant. Trump’s latest insult directed at Daniels, whose real name is Stephanie Clifford, comes after a judge threw out the adult-film star’s defamation lawsuit against Trump. Daniels says she had a sexual affair with Trump in 2006. Trump denies this. The majority of US women disapprove of Trump’s job performance as president and say they prefer Democratic candidates in the November midterm elections, The Washington Post reported in July citing an NPR/PBS Newshour/Marist poll. It’s unclear whether Trump was talking about Hillary Clinton’s physical appearance when he made this remark in front of his supporters at a campaign rally in 2016. Trump called Clinton a “nasty woman” during one heated presidential debate in 2016. When Clinton called Trump a sexist leading up to the November election, Trump responded that he wasn’t and called her an “enabler” of her husband’s affairs. 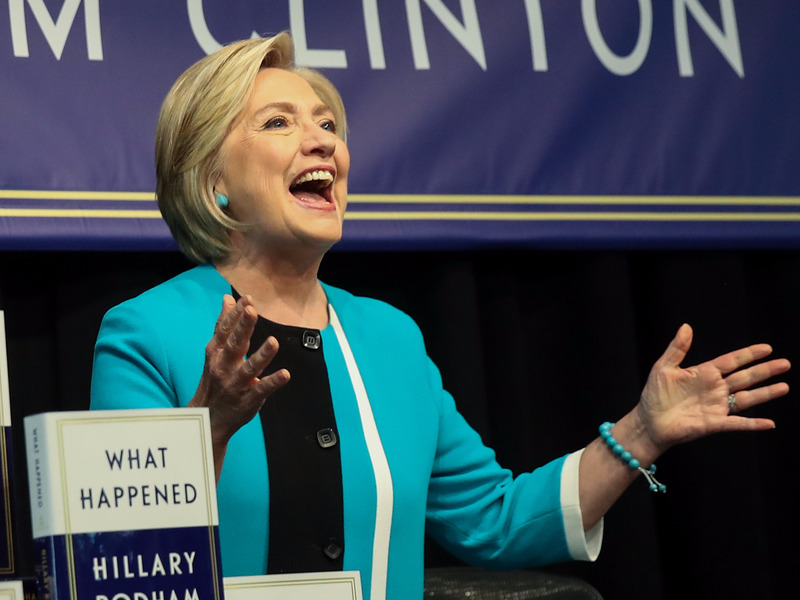 Clinton has recently came under fire from women’s rights groups by saying that her husband Bill Clinton’s extra-marital affair with then 22-year-old White House intern Monica Lewinsky was not an abuse of power. 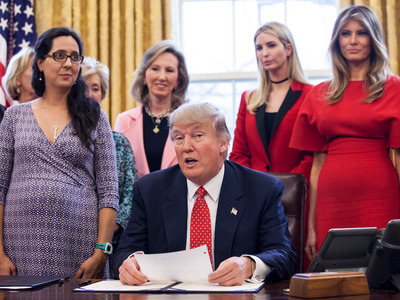 Trump, during a heated election campaign in 2016 frequently launched rhetorical broadsides at opponents, but seemed to hit harder at the women in the field, usually targeting their appearance. 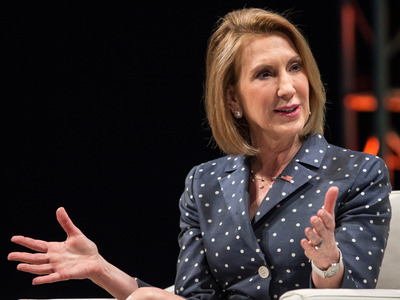 He demonstrated that with his then-Republican primary competitor, Carly Fiorina, the former CEO of the Hewlett-Packard company. Trump his former White House aide, Omarosa Manigault Newman, “That dog,” after she was ousted from the administration. Trump the former White House aide, Omarosa Manigault Newman, a “crazed, crying lowlife” and a “dog” in August in response to her saying Trump had exhibited signs of dementia and that she had proof he previously used the N-word. Trump adamantly refused ever using the racial slur, saying that word wasn’t in his vocabulary. Omarosa said she had plans to release a number of secret recordings from inside the White House that would expose Trump as a racist and a sexist. One tape that recorded her being fired by White House chief of staff John Kelly shows that Kelly was worried that Newman would reveal harmful information about the Trump administration after her departure. “He has absolutely no respect for women, for African-Americans, as evidenced by him instructing the chief of staff to lock me for two hours in the Situation Room, to harass me, to threaten me and say that things could get very ugly for me and that there would be damage to my reputation,” Newman told MSNBC in August. Trump made these remarks about TV host Megyn Kelly back when Kelly hosted a primetime program on the Fox News Channel. Kelly moderated a presidential debate in 2015 during which she challenged Trump with questions he said were too tough. Kelly bluntly asked Trump about claims that he was sexist. “You could see there was blood coming out of her eyes, blood coming out of her – wherever,” he said. Trump later clarified that he was referring to Kelly bleeding from her nose. Klum posted a video in response, shrugging off the insult. Machado, who won the 1996 Miss Universe pageant that was owned by Trump at the time, said he called her “Miss Piggy” and “Miss Housekeeping” after the contest. Machado responded in September 2016 by confirming that Trump used to humiliate her for her appearance when she was young model and that it was likely he did the same to other women in the pageant and beyond. “Just like what happened to me, it’s clear through the years that his actions and conduct have been repeated with other women through the decades,” Machado said. Trump claimed in 2015 that Arianna Huffington, the editor and cofounder of HuffPost, got divorced in 1997 because of her appearance. Huffington was married to a former congressman who came out as gay after their separation. Ariana Huffington “is unattractive both inside and out. I fully understand why her former husband left her for a man- he made a good decision,” Trump said. Trump said of actress Anne Hathaway after she and her then-boyfriend, Raffaello Follieri, broke up: “So when he had plenty of money, she liked him. But then after that, not as good, right? Trump accused actress Anne Hathaway of being a gold digger over breaking up with her boyfriend Raffaello Follieri in 2008 in an interview with Access Hollywood’s Billy Bush. Trump called Democratic congresswoman Maxine Waters an “extraordinarily low IQ person” in June after she told her supporters to harass Trump administration officials in public. Speaking to his supporters at a campaign rally earlier this month, Trump mocked Ford’s testimony before the Senate Judiciary Committee. 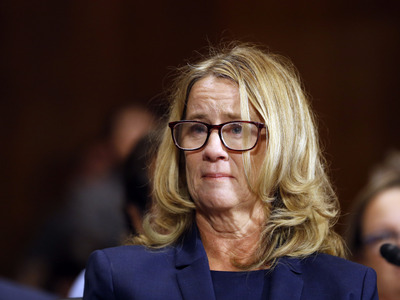 Ford had trouble remembering some details of the day she said Brett Kavanaugh sexually assaulted her when they were both in high school. Trump has been accused of various forms of sexual misconduct by at least 22 women.